My husband MJ and I met in 2001, just after 9/11. 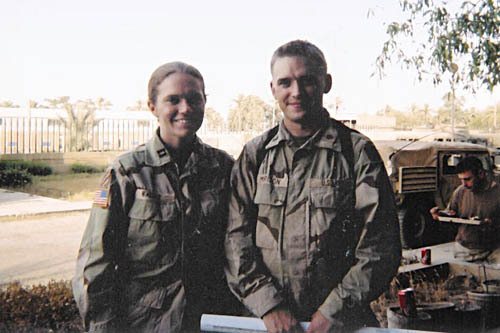 At the time, we were both serving as Intelligence officers in the US Army, stationed near Savannah, Georgia. Assigned to the same unit, we hit it off immediately, and before long we knew we would be getting married. Unfortunately, we also knew a war was coming, and our unit was a "rapid response" division that was certain to be activated for any action in the Middle East. Sure enough, on Christmas Eve 2002, we received orders to deploy to Kuwait. MJ and I reacted with relief: finally, we could get this deployment done, get home, get married, and move on with our lives. Our division was the main effort for the initial invasion into Iraq and subsequent occupation of Baghdad, but MJ and I returned home safely 10 months later. It was a surreal and memorable experience that I'm proud to have been a part of. A week after returning home, MJ proposed and I accepted. 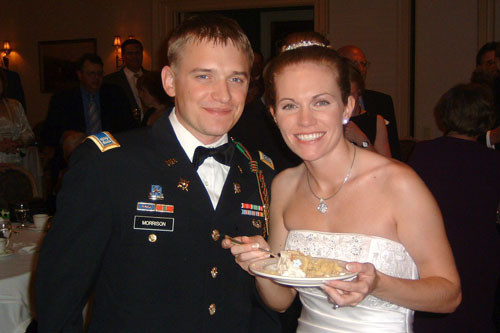 We married a year later, in September of 2004, after I resigned my commission from the Army. We spent our first year stationed at Fort Bragg, North Carolina, where MJ served his final year of active duty. 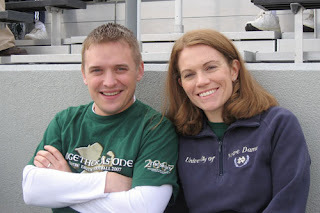 The following summer, we moved to South Bend, Indiana, where MJ started law school at the University of Notre Dame. Our years at Notre Dame were exceptional. The experiences we had there, the community we were a part of, and the friends we made will stay with us always. After MJ's first year of law school, we decided to start a family. After all, MJ told me, our life was just about perfect, and the only thing that could make it better was having a child. Little did we know that it would not be as easy as we had first assumed. Despite both of us having been blessed with good health our entire lives, we were unable to conceive a child easily. After trying for more than a year, we were finally thrilled to discover that I was pregnant. At 9 weeks, on Christmas Day 2007, we told our parents the exciting news. A week later, we learned that the baby had died. We were devastated, but tried to remain optimistic that we had conceived and could do it again. Three years followed: happy and fun-filled years, but also years of heartache, frustration and more losses. MJ graduated from Notre Dame and we relocated for his new job. We bought a house and became involved in our new city: MJ coaches Little League; we are active with Rhodesian Ridgeback Rescue (the dog breed we own and love); and together we teach 8th grade Faith Formation at our Catholic parish. Finally, in the summer of 2010, with the help of specialists and many, many medications, we conceived again. This time, things went perfectly, and we met our beautiful daughter CC on April 19, 2011. You can read her birth story here. We were over the moon with happiness. Still, we had both always dreamed of having more than one child. But we didn't want to be in the cycle of trying -- and failing -- indefinitely. We thought and prayed about it, and decided that we would give it one more shot. 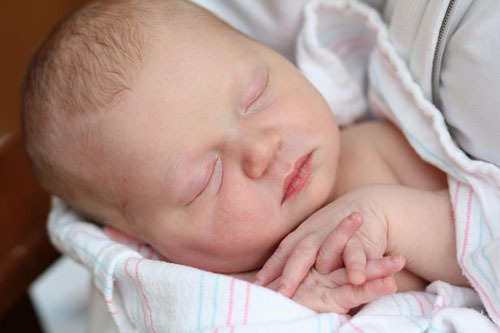 If we didn't get pregnant, then we would live our lives happily with one beautiful precious child. So when CC was six months old, we consulted with our doctors one last time; I took enough medication to fell a horse; and we counted down the minutes until I could take a pregnancy test. Positive! 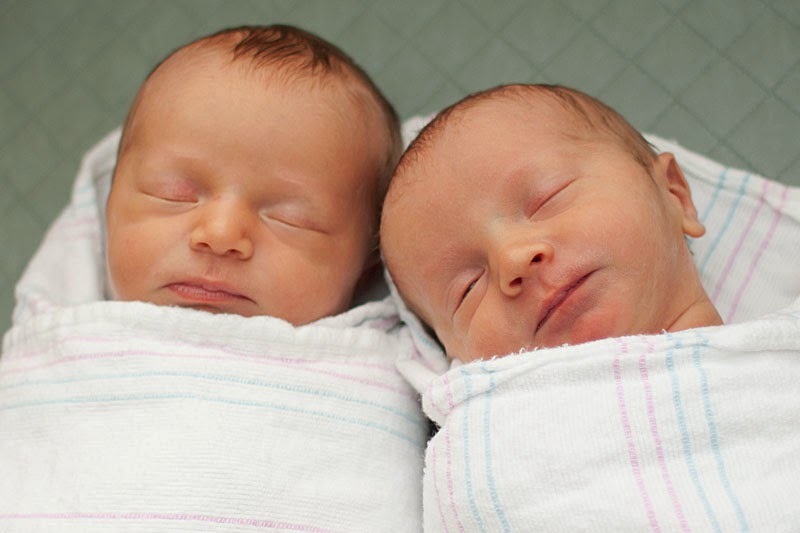 And, we were to learn a month later, God had more than answered our prayers: we were expecting not one but two precious miracles! Our daughter Sweet Pea and son Little Man were born a mere 15 months after CC was born. You can read their birth story here. Truly, we have been blessed. While we once feared we would never have children of our own, we now have three. Happy chaos is the norm around here, but I wouldn't have it any other way!